A fragrance can define you. It is important that it reflects your personality. That it either matches your quirky charm or your strong, sassy spirit. 1. Dior Addict is strong and spicy but with a warmth that transports you to far oriental lands. With a citrus edge, I think it is a captivating scent for a summer evening. 2. Narcisso Rodriguez For Her extraordinarily combines light musk with fresh, sweet notes. Woody and fruity, it is the perfect soft, feminine fragrance. 3. Alien, as the name suggests, is like no other. 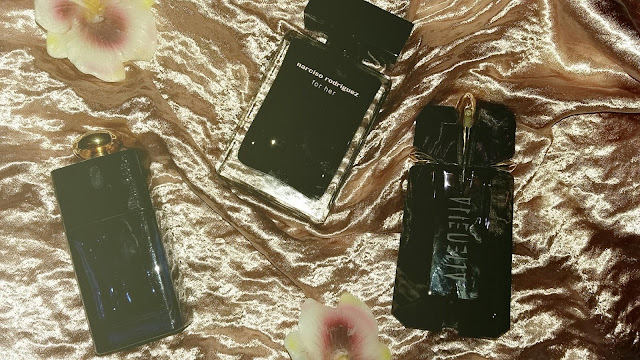 Thierry Mugler has created a rich floral fragrance that is seductive, and playful in its scent with a hint of mystery.